Firstly, I have no idea what I am doing. Having said that, I watched a short introductory video on navigating the blogging site. Thirdly, We have made it all alive and well. Pretty good flight I guess. I didn’t sleep a single minute. It’s always hard that one but the reward is great. We spent today, our first full day, out with Julien and Virginie. 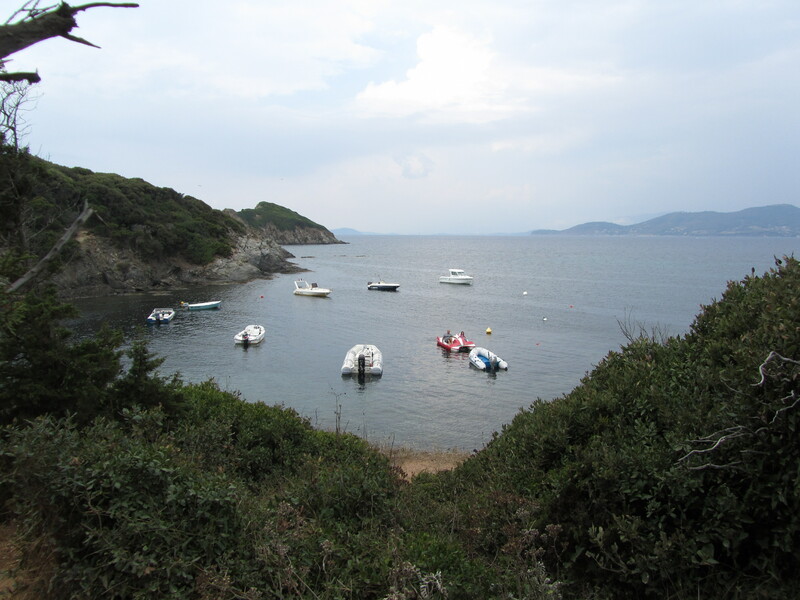 They took us just past the town of Hyeres, along the coast to a spot that is very popular during summer. We sat on the stoney beach and had some lunch and looked out over the Mediterranean until we finished (Well, it was the Mediterranean until Julien pointed out that the direction we were looking was north). After that we had a nice long walk/hike along the cliffs above the water with plenty of lookouts and photo opportunities along the way. Not long after we left our lunch spot, the sun broke through the clouds which dispersed rapidly leaving us all wishing we had brought more water and had worn shorts instead. With the change in weather came a change in the scenery. As we climbed further around the peninsular, the cliffs got higher and we came out onto looking over the real Mediterranean. A huge expanse of water that was perfectly still. 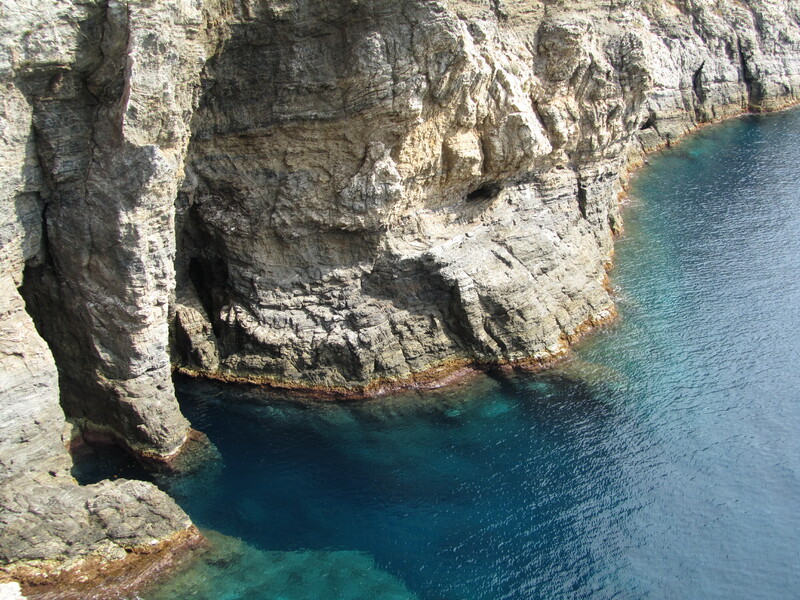 the water closer to the cliffs had also changed to a stunning turquoise colour; unlike any colour of water i had seen in my life. And with the added beauty of the cliffs, it really was a sight to behold. We walked the edge of the cliffs for a good 2 hours, weaving into the forested area occasionally for a break from the sun before finally heading back to the car and home. That is where i am now.